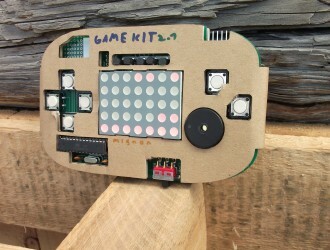 The new Mignon Game Kit 2.1 comes with some small improvements. Now you can connect two potis to the extensions port, to play Pong! 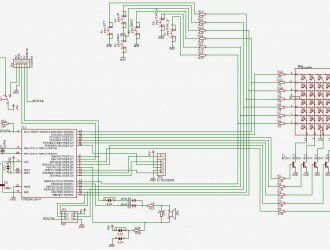 And it is very easy to equip the port with I2C interface. 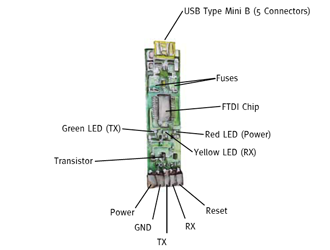 Fancy cases can be fixed on the two drills and the second breadboard field is supplied with power, GND and a digital Pin. 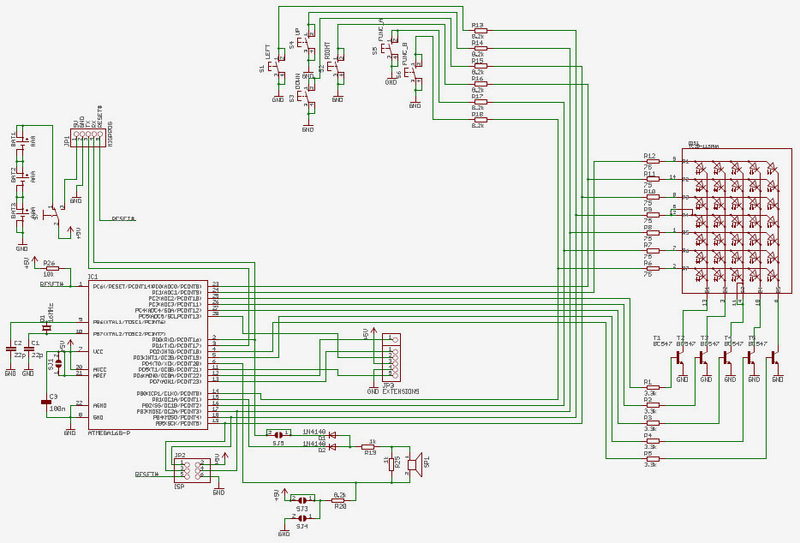 Fritzing is a software for schematics and small PCB layouts. 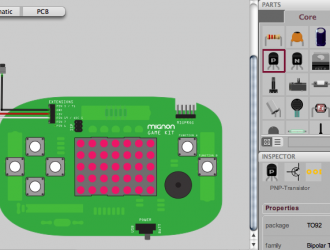 The cross-platform open source tool is well suited for designing circuits and documentation. Import the Mignon Game Kit by choosing “Part / Import ..” it will appear under “Mine”. 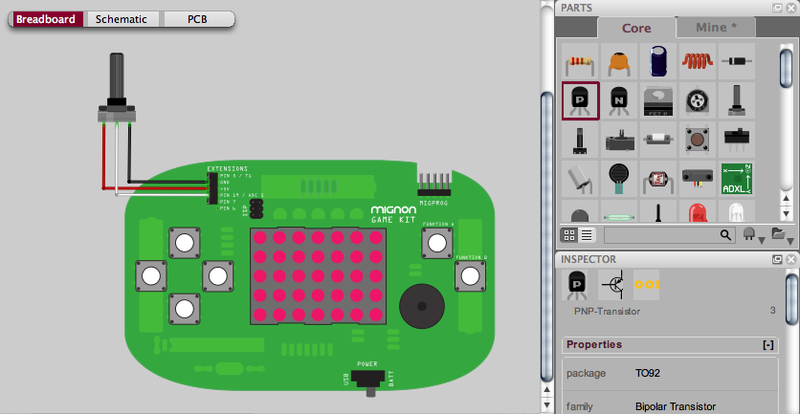 Now EXTENSIONS and MigProg port can be wired with other components of the Fritzing library. 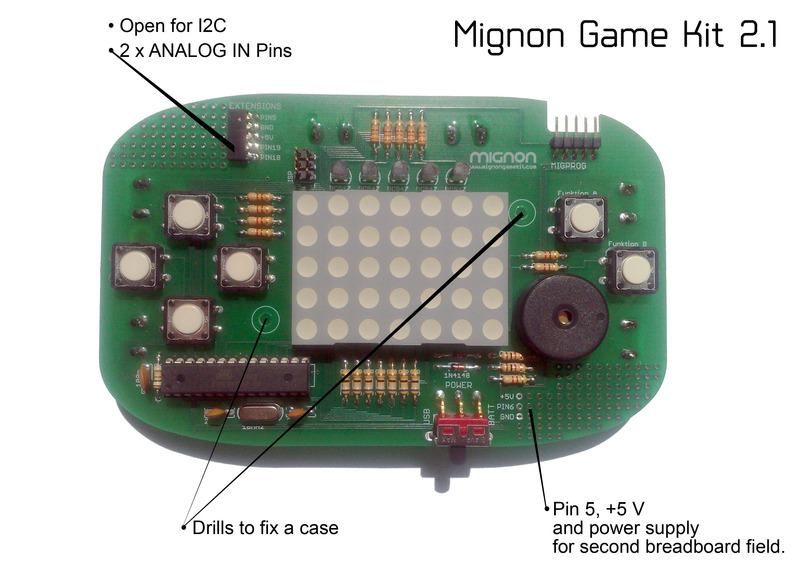 If there is no MigProg at hand, one can program the Mignon Game with other adapters. 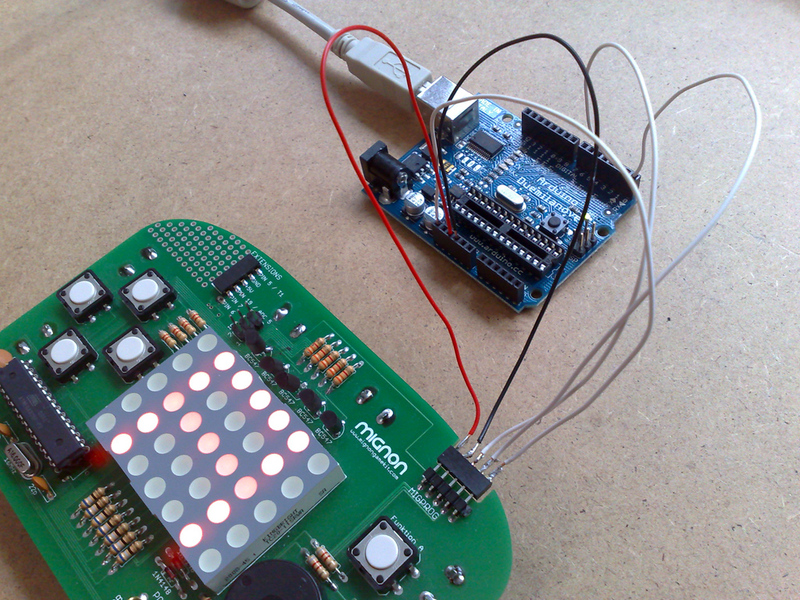 Thus, for example, the widespread Arduino board can be used as an adapter. Here you con down load the circuit diagram of the Mignon Game Kit as PDF. 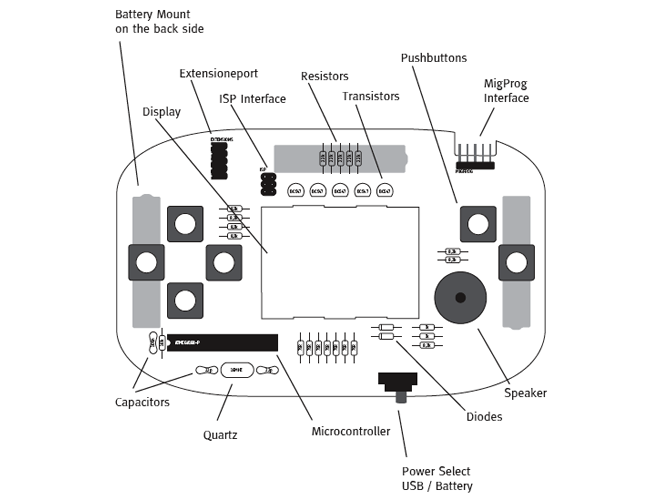 You can find files and ideas for designing a case for your Mignon Game Kit at the Mignon Wiki. 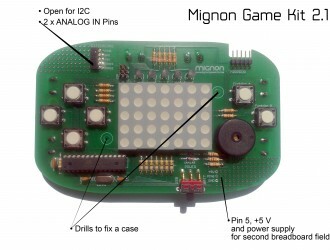 Go to Mignon Game Kit and select Case Design!